On a brighter note though I received through the letterbox on Monday just gone a copy of Bob Cordery's new book - the Portable Wargame. Readers of Bob blog - Wargaming Miscellany will no doubt have followed his thoughts and adventures with the concept of the portable war game and how much of the work of Joe Morschauser served to start the ball rolling to where we are today - with the book you see above. This not a detailed review of the book but I will say what it is not. It is not a glossy large format chock full of artistically painted figures in use by the hundreds type of publication that seems to be the way of things these days (I know as I have plenty of these in my collection!). It does not invite you to become part of the 'Portable Wargame Hobby' and to meet up with like-minded individuals to worship at the shrine of Cordery in some retail outlet and to be badgered by acne-ridden sales people yapping about your heels like so many Jawas. It is also grid based so if you are allergic to them it may not be your bag but having said that it would be worth adding to any gamers collection for the inspiration value alone. This is a book that, to quote C3 PO, "Thank the maker" is refreshingly old school in its layout, tone and style. Actually I am thinking that perhaps new old school may be a more apt description. The book outlines a brief overview of how gridded wargames have featured in the history of our hobby and also a very useful guide to the use of three styles of grid currently used - hexed, squared and offset squared. There are two sets of rules included therein - one for the 19th century Colonial scene and one for the early to mid 20th century. There are sections on representing units and a couple of rather nice and detailed battle reports - one for each set of rules. These are supported by some lovely black and white pictures that put me in mind of Battle by Charles Grant for the WW2 game. For me though the best thing about this book is quite simple the fact that NONE of it is carved in stone. The core mechanisms are robust enough to stand any amount of tinkering and the appendix on thoughts about wargames design is a useful reminder when 'tweaking'. I would also suggest that page 12 - Some Basic Rules - should be made obligatory for ANY set of rules! There is little for me to add to what has already been said across the blogosphere about this book so I will aid my own personal thoughts. Bob has produced an outstanding piece of work and I am delighted and privileged to have been in a small way a part of the story. The book is available from www.lulu.com and the ID for the hardback version is 20317595. There is a paperback and also an ebook version as well. I for one am eagerly looking forward to trying these out - I have done so with earlier versions - and needless to say have a number of ideas to experiment with - I even have a boot sale acquired chess board just waiting for some TLC! I know Bob has some ideas already for a follow up volume and I for one will be delighted to see that when ready. Many congratulations Bob on a job very well done. First of all a belated happy new year to one and all! I rather like watching films during the wee small hours although I will not be making a habit of it! Last year was a bit of a write off for me from the gaming perspective - a combination of work pressures and rather more illness than I would have liked - so I have decided that this year there are no more excuses - I need to get some games and gaming in. I have NO excuses for not getting anything done as the only positive from last year was that I was able to acquire all the material I needed for several projects. Time is the killer for me so I need to be quite ruthless about what can do and how. The project list includes the Crusades, ACW/19th century, Zulu war and WW2 in the Mediterranean - all in 28mm and plastic (except for the Zulu wars). These will be for fairly small set ups - think Lion/Dragon rampant and The Men Who Would Be Kings and that will give you an idea. I have a couple of Sci-Fi ideas to play around with - spaceships and ground combat. I also have a couple of 1/3000th naval ideas in mind - not to mention some 3mm Bloody Big Battles type actions. To focus on any of this lot I need to very single minded which is usually a challenge for me however, I am looking to offload a whole pile of material which should help to focus my efforts somewhat. The time for moping about is ended - if I want to make things happen then I need to make them happen and so I intend tackling something small and readily 'doable' asap - I am looking to use this as the springboard to bigger and better things. 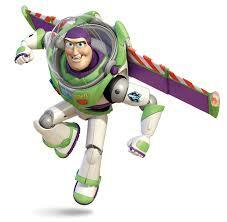 "To infinity and beyond!" may be a little cliched but I hope that the new year will give me the impetus to make things happen.